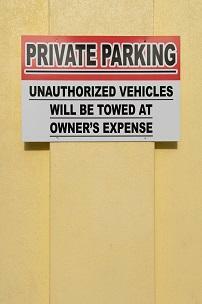 Choosing to have a vehicle towed from your business or residence is an uncomfortable situation. However, it can also be a necessary precaution to take. If your rights as a property owner are being violated, making the decision to have cars or trucks towed away from your property may be the best choice. 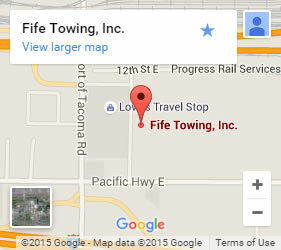 If you’re considering this option, Fife Towing & Services can handle doing an effective vehicle impound in Lakewood for you. Our combination of service and efficiency won’t be beaten. 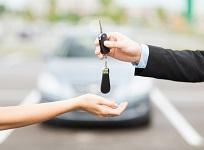 Should I have vehicles towed from my business? As a business owner, you don’t have to put up with unwanted vehicles taking up valuable space in your parking lot. Sometimes, you may not have many parking places for customers to access your services, and if an unwanted vehicle uses one of those spots, you can lose vital business to your company. If this has happened to you, consider choosing us for private impounding. While public property like parks may use police impound, the state of Washington has different rules for businesses. According to Washington State Law as stated in RCW 46.55.080, if you own a business, any vehicle can be towed at your discretion. Without a sign stating that unauthorized vehicles will be towed, you must wait a minimum of 24 hours before calling us to tow it. If that’s too much time, you can call us and we’ll gladly help you put up a sign with our contact information in a good location in your parking lot stating unauthorized vehicles will be towed. Once a sign is up, you can have any vehicle impounded immediately without waiting a day. How do I get you to tow a vehicle from my property? We make the process easy for you. If you post a sign on your property, we’re able to come by right away, and we’ll handle the more complicated steps. We’ll take care of telling the owner of the vehicle that their vehicle has been towed. If they call you, simply refer them to us and we’ll take it from there. If an owner has a problem with the procedure, we’ll do our best to take care of it so it doesn’t come back on you. As the vehicle was parked there without your permission, you don’t have to pay the towing cost for impounding–that’s on the owner of the vehicle. There are many towing companies around Lakewood, but none can compete with our speed, service, and experience. With over 65 years of experience towing in the area, we’re a local towing company that knows the streets well. We quickly dispatch trucks 24 hours a day, 365 days a year–even holidays–so you don’t have to put up with the inconvenience or potential danger of dealing with a vehicle parked where it doesn’t belong. Our advanced fleet of tow trucks can tow any vehicle you can think of, including buses and semi trucks! Click here to see some of the other services we offer in Lakewood and the surrounding areas! Call or contact us today for all your towing needs!